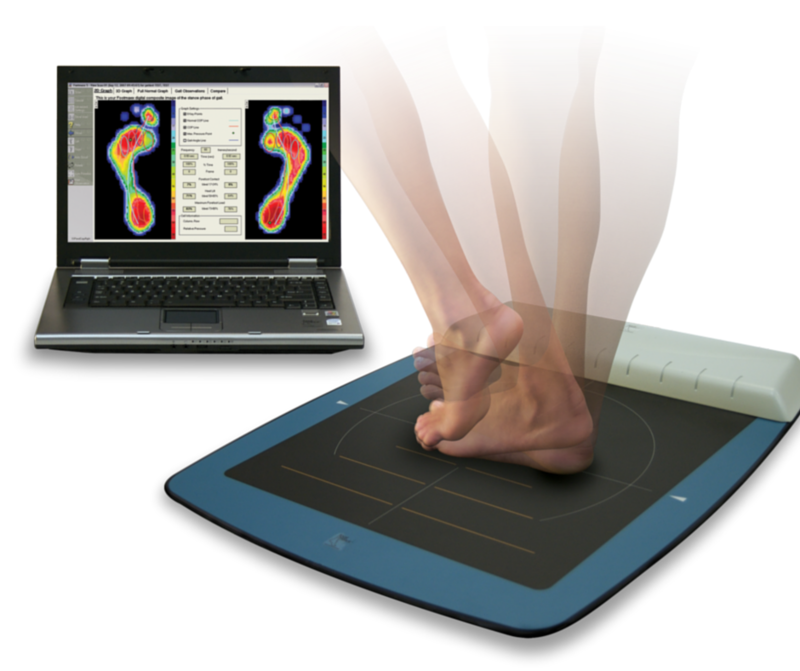 Video Gait Analysis is having how you walk (your gait) analysed by an expert to see if there are any problems or any room for improvement. This is a 3 part exercise. Clinical Assessment – especially if this is your first appointment, our Consultant, Estelle Mitchell, will take a full medical history and then do a clinical assessment of the areas where you have pain or issues. This is vital so that we fully understand your individual situation and can provide a detailed and accurate solution that is right for you. Knee pain for a runner is quite different from arthritic knee pain! Video Gait Analysis – you walk on a treadmill at a comfortable speed (no running needed!) for a couple of minutes while we video you. This video gives us information on how your body is moving with each step you take – we’ll look at your toes, ankles, knees, hips and even your spine all the way up to your neck! Foot Pressure Analysis – you will then be asked to walk across our pressure mat. The mat has 2304 sensors to scan exactly how your foot makes contact with the floor as you walk. Where the areas of high pressure or low pressure are and how quickly you move from one area to another, within 0.02 of a second! Then Estelle will sit and review each of these 3 elements with you, explaining exactly how your, individual foot is functioning and what your options are. Accuracy – the human eye simply can’t accurately gauge movements that happen in 0.02 of a second! Being able to review how you move in slow motion, combined with the detail from the pressure mat means we don’t miss a single thing. Teeny, tiny measurements mean teeny, tiny corrections – if you do need additional support (like insoles) the detail available to us means that we can make super slim, super discreet insoles that you can actually wear. No clunky orthotic shoes for our patients please! Therapy in motion – looking at how you walk means we support you when you walk and run and play sport. Not standing/sitting (like a traditional plaster cast) but when you actually move. So this means movement is pain free. Long term solution – if the way you walk is causing you pain, by resolving this we get rid of the pain. We fix your walk and we fix your pain. End of treatment story. If we could give everyone the support to walk correctly a HUGE proportion of my patients would never need to see me. Diabetics – we have specialised options suitable for diabetics. Children – we can review children from as young as 2 years old and, if necessary provide specialised supports. This is especially important in young athletes. Post-operative – after foot, ankle or knee surgery we can provide specialised supports to help with a speedy recovery. High impact sports take their toll on your joints. BUT with the right assessment and support you can improve your technique and prevent injuries, reduce muscle strain and improve your performance. We have specialised assessments and solutions for all sports people; runners, tennis and padel players, golfers, cyclists and keen gym goers. 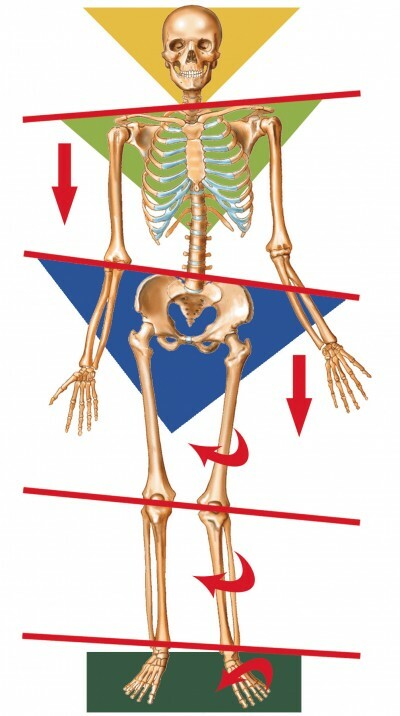 A detailed assessment means we can identify any muscle imbalances or technique issues and create a programme to manage these issues as well as identify any other solutions or support. Our assessment looks at you in motion. 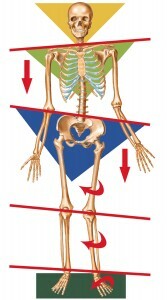 So we can see the elements of your movement which are causing the pain / problem / affecting your sport. This means that we can then support you in motion in your sport. Our advanced technology means we can offer more accurate analysis than the naked human eye and also means that we can explain it to you more easily. Your sport should be good for your body. Reduce the impact and enjoy it for longer, pain and injury free.